I shop for supplies on my lunch hour. I make a list the night before so that I know where I need to go and what exactly I need to get. That way, I don't get sucked into browsing and take too long. I also use this time for mailing orders (there is a post office right down the street from my office) and sometimes replacing inventory in stores. I recruit my daughter to help. She's 13 and she has things that she likes to do. Making jewelry is actually at the bottom of her list unless it involves a torch. Her favorite things are pricing/labeling the jewelry, taking inventory and helping me with income and expense entries. I LOVE her for doing these things (and well, just in general). I maximize my weekends. By "maximize" I mean I do little else but make jewelry. I actually have calluses on my hands from the Thanksgiving-break-making-frenzy. I pretty much neglect things like vacuuming or anything resembling cleaning. My family joins in or at least visits me at the dining room table, so I don't miss too much. I added a "Build Your Own Bracelet" offering for the show. I think this will work well as I can make jewelry right there. I can demonstrate what I do and give people a customized piece before they leave. I don't have to take as many pre-made items with me, so less to do ahead of time and I won't have as much down time at the show if I'm making while I'm there. I've made a conscious decision to just get done what I can. I could stress out and stay up until 3am every night, but I'm not going to. I'm choosing how I want to live as I build this business and "stressed out" is not on the list. I did set goals for how much I wanted to bring and I made them in the realm of what I knew I could reasonably do in the time that I have. Every night I review what I accomplished and I take some time to appreciate all that I was able to get done-even with a very busy life. I write down what I was able to do and I just take a few minutes to celebrate it. I do this a lot and sometimes I look back at all that I have done, especially when I feel like things are moving too slowly and it makes me feel better to see it all in the pages. I focused on slowing down and keeping the creative joy alive. 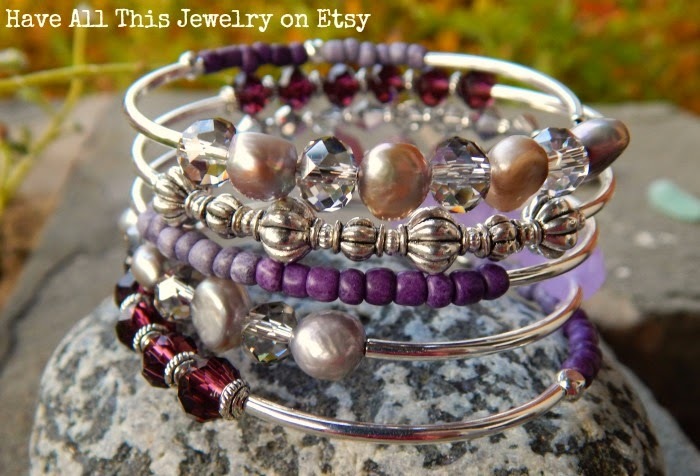 In my evening reflection/celebration, one thing I noticed is how much I really love making my new mixed media bracelet (like the one in the photo above.) 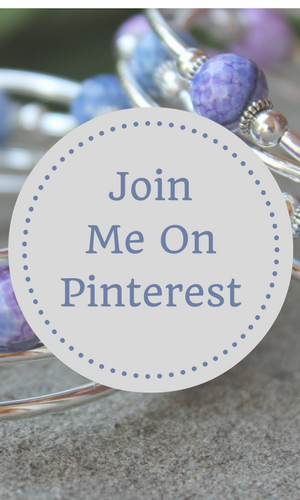 I use different types of materials in each bracelet. Crystals, metal, stone, charms...whatever calls me and I am totally loving them. This style takes me much longer to make because I keep mixing and matching to get them to a happy place. One of my customers said they have "good energy" which is what I'm feeling for when I assemble and re-assemble them. One of the stores said "Oh yes! Bring me more of those" so I think I'm on the right track. ps: If you're doing your first show this holiday season and need help with what to bring, email me and I'll send you a free list of what I always bring with me. You can also check out Kari Chapin's Book, The Handmade Marketplace for the chapter on selling at craft shows as a great place to start. Great post! Appreciate you sqeeeezing out a few minutes to share and inspire the rest of us who might be struggling with similar issues. Best of luck with your show. 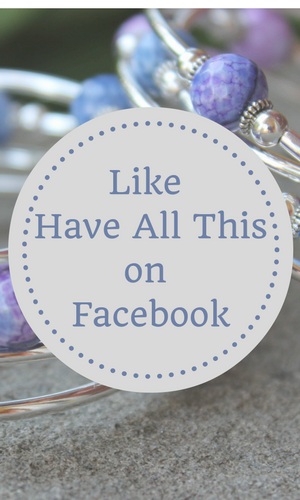 Your addition of making a custom bracelet on the spot will surely be a hit! LOVE LOVE LOVE your mixed media bracelet too!